A conglomerate of federal and state government agencies and other groups are teaming up for a special release of 180,000 salmon fry into the Sacramento River. Here’s more from the event. When: April 13, 3 p.m.
Why: Experiment to see if using advanced release techniques and moving the salmon’s release point to 75 miles downstream from the Coleman National Fish Hatchery on Battle Creek will significantly improve survival chances without incurring additional straying. Currently, many Coleman salmon are lost in the first 75 miles of travel after release, especially in low water years. Success could provide a critical way to boost salmon stocks in future low water years. San Francisco — The sport salmon ocean fishery opened Saturday April 6 from Pigeon Point in southern San Mateo County, south to the Mexican border. 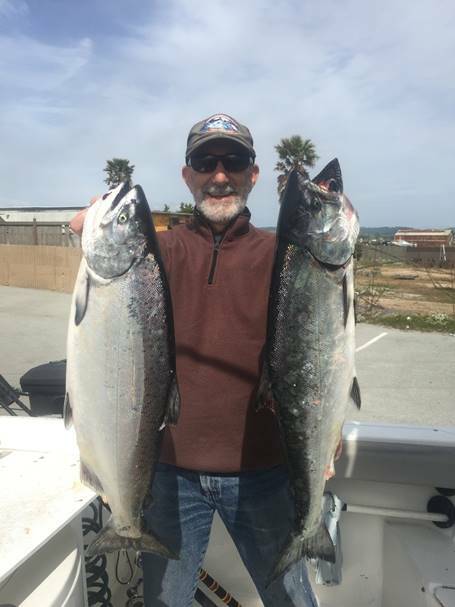 Sport anglers concentrated their efforts out of the Monterey Bay ports of Santa Cruz, Moss Landing and Monterey. The salmon were there to greet them with many boats reporting back with limits of salmon ranging from five to almost 20 pounds. Anglers are allowed to keep two salmon per day. 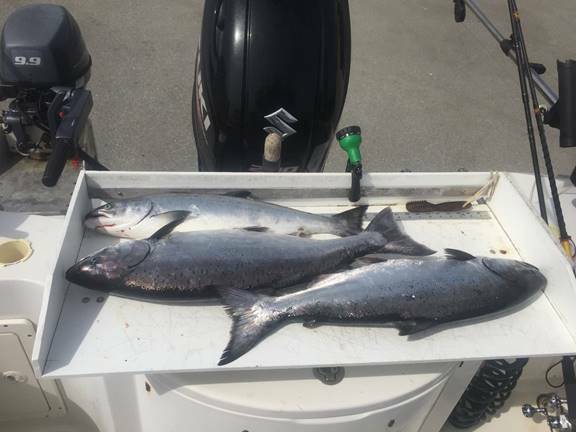 In addition, the sport salmon season opens Saturday April 13 north of Pigeon Point all the way to just north of Shelter Cove in southern Humboldt County. The Golden Gate Salmon Association (www.goldengatesalmon.org) is a coalition of salmon advocates that includes commercial and recreational salmon fisherman, businesses, restaurants and chefs, a native tribe, environmentalists, elected officials, families and communities that rely on salmon. GGSA’s mission is to restore California salmon for their economic, recreational, commercial, environmental, cultural and health values. GGSA serves the sport and commercial anglers, businesses, conservationists and foodies that rely on salmon as a long-term, nutritious, sustainable resource. Currently, California’s salmon industry is valued at $1.4 billion in annual economic activity in a normal season. The industry employs tens of thousands of people from Santa Barbara to northern Oregon. This is a huge economic bloc made up of commercial fishermen, recreational fishermen (fresh and salt water), fish processors, marinas, coastal communities, equipment manufacturers, tackle shops and marine stores, the hotel and food industry, tribes, and the salmon fishing industry at large. Salmon are the keystone species that reflect the health of both their fresh and salt water environment. The Wildlife Conservation Board (WCB) has approved approximately $13 million in grants to help enhance flows in streams throughout California. A total of 11 stream flow enhancement projects were approved at an April 4 meeting of the Stream Flow Enhancement Program Board. The approved projects will provide or lead to a direct and measurable enhancement of the amount, timing and/or quality of water in streams for anadromous fish; special status, threatened, endangered or at-risk species; or to provide resilience to climate change. Funding for these projects comes from the Water Quality, Supply and Infrastructure Improvement Act of 2014 (Proposition 1). The Act authorized the Legislature to appropriate funds to address the objectives identified in the California Water Action Plan, including more reliable water supplies, the restoration of important species and habitat, and a more resilient and sustainably managed water infrastructure. A $499,955 grant to the University of California, Davis for a cooperative project with the University of California, Berkeley that will apply the newly developing California Environmental Flows Framework to inform decisions regarding instream flow enhancements in the Little Shasta River in Siskiyou County and San Juan Creek in Orange County, by defining target hydrologic regimes that meet ecological and geomorphic objectives. A $1.5 million grant to the Sutter Butte Flood Control Agency for a cooperative project with the California Department of Fish and Wildlife (CDFW) and California Department of Water Resources (DWR) in the Oroville Wildlife Area in Butte County. The project will reconnect the Feather River to approximately 400 acres of its historic floodplain, increasing the frequency and duration of floodplain inundation, and enhancing habitat for anadromous salmonids. 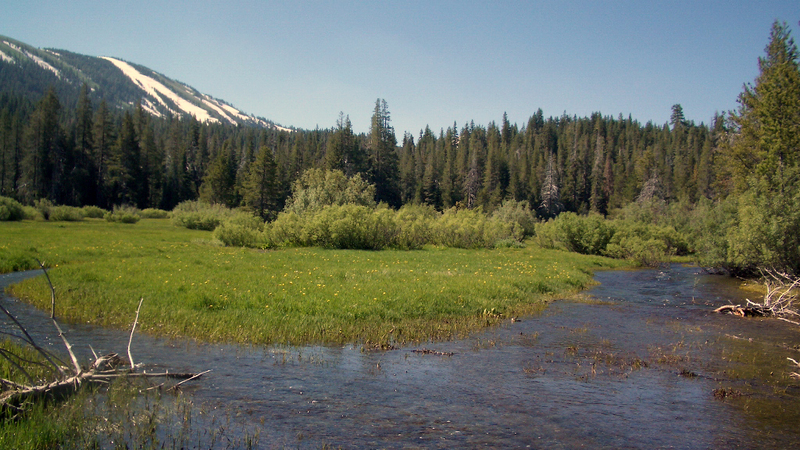 A $1.98 million grant to the Truckee River Watershed Council for a cooperative project with the CDFW, U.S. Forest Service, Tahoe National Forest and Bella Vista Foundation to enhance hydrologic and ecological function and improve base flows during the low flow period within Lower Perazzo Meadow in Sierra County. A $621,754 grant to the San Mateo County Resource Conservation District for a cooperative project with DWR and State Coastal Conservancy to construct an off-channel storage pond on Klingman-Moty Farm. Combined with irrigation efficiency upgrades and a commitment from the landowner to forbear diversions during the low flow period, the project will improve instream flow conditions in San Gregorio Creek in San Mateo County. A $1.78 million grant to the Ventura Resource Conservation District for a cooperative project with Ojai Valley Inn, the city of Ojai, the Thacher School, and a diverse array of other partners. They will develop an Integrated Water Management Framework for Instream Flow Enhancement and Water Security and complete planning, permitting and outreach to advance 25 stream flow enhancement projects to an implementation ready stage. 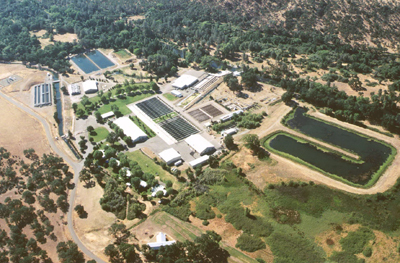 Colman National Fish Hatchery spoke with KRCR News Channel 7 Monday about an accident Friday night that left 390,000 Fall Chinook Salmon dead. It happened Thursday night. Project Manager Brett Galyean said the team was tagging some of the fish until about midnight. Somehow, one of the raceway’s water wasn’t turned back on before staff left for the night. When they returned in the morning, three percent of the year’s production was dead. The California Department of Fish and Wildlife (CDFW) is stepping up educational outreach and enforcement to stop illegal activities including mountain biking, trail building, vandalism, theft, drone use, motorcycle use, equestrian use and dogs off leash at the Carlsbad Highlands Ecological Reserve in San Diego County. The effort begins this weekend with the installation of new signage and increased enforcement by CDFW wildlife officers of long-standing regulations to protect animals, plants and habitats that depend on the reserve. Simultaneously, CDFW is working to repair the extensive environmental damage caused by illegal mountain biking and the illegal construction of trails, berms and jumps that not only harm animals and damage habitat, but make the ecological reserve unsafe for authorized activities that include hiking, nature viewing and educational uses. The primary purpose of state ecological reserves is to protect sensitive species and habitats. The 473-acre Carlsbad Highlands Ecological Reserve, sometimes referred to as CHER, was established formally in 2000, although its habitat protections date back to 1995 as a conservation bank to offset the impacts of local development. The reserve provides habitat for the federally threatened California gnatcatcher as well as state-listed endangered plants such as the Encinitas baccharis, thread-leaved Brodiaea, and other sensitive native species. CDFW has been working with the local mountain biking community as well as the San Diego-based Wildlife and Habitat Conservation Coalition to identify good, legal alternatives to biking at CHER. Areas within CHER that formerly supported rare plants now have illegal trails through them, and areas that previously supported the California gnatcatcher are fragmented and less productive. Habitat damage within the reserve is estimated at 12.5 acres with 17 miles of illegal trails forming an extensive trail system throughout the reserve that at one time was a contiguous block of undisturbed habitat. Scientific studies on trail use consistently show that trails have significant impacts on wildlife behavior, movement and habitat use. While CDFW encourages Californians to get outside and enjoy the outdoors as much as possible, the illegal use and overuse of sensitive properties such as the Carlsbad Highlands Ecological Reserve has significant consequences on wildlife. In addition to the loss of habitat, wildlife such as lizards, frogs and snakes are often killed when run over by mountain bikers or motorcyclists. Under state law (California Code of Regulations Title 14, section 630), CDFW is obligated to protect and maintain designated ecological reserves, which includes enforcing the rules. Failure to comply could result in a $1,000 fine and up to a year in jail. For more information on CHER, please visit www.wildlife.ca.gov/lands/places-to-visit/carlsbad-highlands-er. Photos and video clips of vandalism, theft and environmental damage at CHER can be found at ftp://ftp.wildlife.ca.gov/oceo/carlsbadhighlandser. California Assemblywoman Sydney Kamlager-Dove (D-Los Angeles) recently introduced Assembly Bill 1254, which would ban trophy bobcat hunting in California. Currently, California’s season runs between Oct. 15 and Feb. 28, with a statewide of limit of five bobcats per season. Trapping is already banned for bobcats in the state. 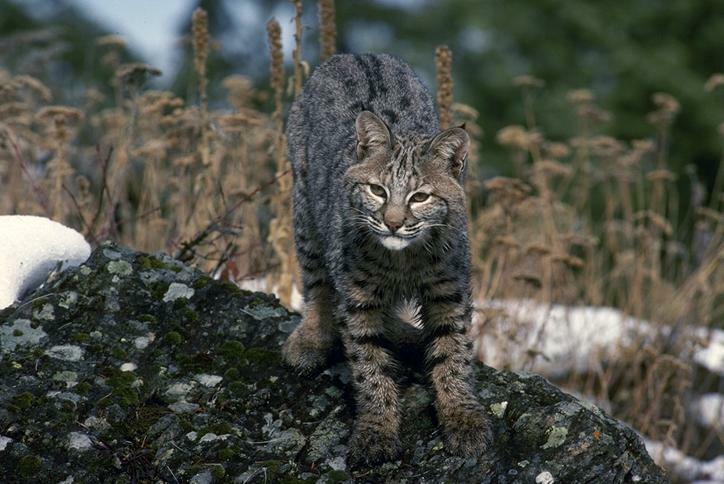 California – through ballot measures, legislation, and the regulatory process – has been a leader in bobcat protection. In 1998, California voters passed Proposition 4 by a 57 percent majority. This measure banned the use of steel-jawed, leghold and other body-gripping traps used to capture and hold wildlife, including bobcats. In 2012, the Legislature passed a bill that banned the use of hounds to track and kill bobcats and black bears. In 2013, the Legislature passed the Bobcat Protection Act, which limited bobcat trapping, and the Department of Fish and Wildlife banned commercial and recreational bobcat trapping altogether in 2015. California is already the most hostile state in the country for hunting and trapping, and has been fertile ground for animal-rights groups and their agenda. It was the first state to ban mountain lion hunting in 1990, voters passed a trapping ban initiative in 1998, and bear and bobcat hunting with hounds was outlawed in 2011. Bobcat numbers have steadily grown throughout the state and country, and the anti-hunting lobby has responded by attacking the remaining seasons and opposing new ones in California as well as in states such as Illinois, New Hampshire and Ohio. SEATTLE— The Center for Biological Diversity and Wild Fish Conservancy sued the Trump administration today for mismanaging West Coast salmon fisheries and harming critically endangered Southern Resident killer whales, a violation of the Endangered Species Act. That orca population has dropped to just 75 individuals, mostly because declining salmon runs have left them without enough to eat. Today’s lawsuit was filed in federal court in the Western District of Washington. It seeks to compel the National Marine Fisheries Service to assess and reduce the threat to the endangered orcas from salmon fishing off Washington, Oregon and California. Southern Residents are also threatened by pollution and disturbance from vessel traffic. The Southern Resident population reached a 34-year low in 2018 after the loss of a newborn calf and a young female. Researchers have been closely watching two other ailing orcas that appear to be malnourished. Starving orcas show signs of “peanut head” — a condition in which an individual has lost so much body fat that a depression appears behind its blowhole. In January 2019 scientists confirmed the birth of a baby orca named Lucky. The first calf to survive past birth since 2015, Lucky underscores the urgent need to improve feeding opportunities for Southern Resident killer whales. The young orca and its pod were sighted this week in California’s Monterey Bay, highlighting the expansive range of the Southern Resident killer whales (which feed in the summer in Washington’s Puget Sound) and the importance of protecting the salmon they eat throughout their range. In August 2018 the Center sued the Trump administration for failing to protect the Southern Residents’ full West Coast habitat. The Center launched another lawsuit in August 2018 to establish a “whale protection zone” to shield orcas from boat noise and disturbance in the heart of their Puget Sound habitat. Today’s suit focuses on the administration’s obligation under the Endangered Species Act to ensure that the Pacific Coast salmon fisheries do not jeopardize the Southern Resident killer whales. That includes a requirement to use the best available science on orcas to manage the salmon fishery. The Wild Fish Conservancy (WFC) is a nonprofit conservation ecology organization headquartered in Washington State and dedicated to preserving, protecting and restoring the Northwest’s wild fish and the ecosystems they depend on, through science, education and advocacy. California Department of Fish and Wildlife (CDFW) Director Charlton H. Bonham issued a declaration to close the commercial Dungeness crab fishery statewide at 11:59 p.m. on April 15, 2019 due to increased whale entanglement risk anticipated for the spring and summer months. Under the interim authority of Section 8276.1(c)(1) of the Fish and Game Code, the Director may restrict take of commercial Dungeness crab if the fishery is being conducted in a manner that poses a significant risk of marine life entanglement. Therefore, the Director has declared that the commercial Dungeness crab fishery will close at 11:59 p.m. on Monday, April 15, 2019. All Dungeness crab commercial fishing gear must be removed from ocean waters and landings must be completed by April 15, 2019 at 11:59 p.m.
For more information or updates, please see the Department’s Crab Fishery web page. The Monterey Bay Aquarium was the filming location for Star Trek IV: The Voyage Home. In the movie, what was called the “Cetacean Institute” and was supposed to be in Sausalito, just across the Golden Gate from San Francisco, was actually in Monterey. The area where the aquarium is located was in the news this week for whale sightings in the adjacent bay. A pod of orcas that normally inhabit waters further north in the Pacific Northwest were spotted off Monterey. Transient orcas are a common sight in Monterey Bay. 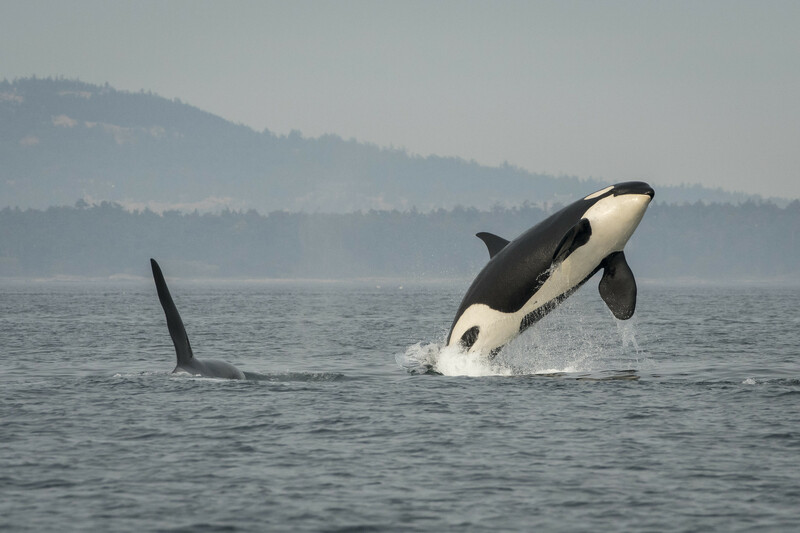 However, the L-pod are among the southern resident killer whales who’s traditional hunting grounds are in Seattle’s Puget Sound and Vancouver Island. A shortage of chinook salmon has put a strain on the pod. Since 1995, the L-pod population has dropped from 58 orcas to 35. With salmon numbers dwindling throughout the West Coast, there is some concern about how long orcas will stick around as salmon become less and less plentiful for whales to consume. San Francisco, Calif. — April 2, 2019 — “Recently, to keep communities safe from floods, Central Valley dam operators are opening the dams and making big water releases down the rivers. This frees up reservoir space to handle runoff from snowmelt or the next storm. In addition to protecting the public, these flood control dam releases provide important environmental benefits. Generally, they’re really good for salmon. When salmon fishermen look at these big water releases from dams we see fast flowing, muddy waters breathing new life into damaged rivers, uncovering and moving gravel to where it’s needed by spawning salmon and washing away damaging sediment from the aftermath of logging, fires and low water flows. We see murky river flows helping to transport and hide baby salmon from predators and guide them downstream towards the ocean. We see the few remaining low lying floodplains being inundated again, as they were for time immemorial until we built levees and disconnected 97 percent of these essential salmon rearing habitats from our rivers. On the few remaining floodplains, baby salmon find a safe place to eat and grow. We see river side channels, previously clogged with sediment, instantly swept clean and revitalized, providing more rearing habitat for baby salmon. These high flows are needed to allow river channels to cut their own path and meander naturally. They allow riparian plants to germinate and thrive, all of which benefit salmon. However, with these flood control releases, dam operators must take care on the backside of the storms to bring releases down slowly so young fish don’t get stranded in pools suddenly cut off from rivers. We see these rare pulses of extra water flowing through the Delta, ripping out acres of invasive plant growth that strangles waterways and clogs water intakes and boating access. We see waters polluted by ag runoff being diluted and washed away. These life-giving flood waters used to be normal events in California until we dammed all of our salmon rivers. Our native wildlife evolved to thrive in these conditions and have gone into a nosedive since the advent of dams and unsustainable reservoir operations. While good for salmon, these flood pulses are bad for non-native fish that eat baby salmon and the invasive clams and shrimp that compete with them for food. Today it’s increasingly rare for Mother Nature to overcome the power of Central Valley dams and force flood control releases but when she does, all of nature downstream, especially the salmon runs, thrive. That’s because they all evolved to take advantage of, and need, periodic high flows. Not only do salmon and other wildlife thrive, so too do those human communities that depend on salmon and a healthy, functioning ecosystem. It’s critical to note that these life giving flows are not protected by any current regulatory requirements. That’s an oversight. Advocates of new dams often argue that high flows are being “wasted to the sea.” Nothing could be further from the truth. In fact, it is only when flows exceed our capacity to capture them that native fish like salmon have a chance to rebound. State agencies, particularly the State Water Board and the California Department of Fish and Wildlife should adopt updated science-based standards that protect more of these needed high flow events, to continue providing essential benefits for salmon, the salmon fishing industry, and the entire Central Valley natural resources. That’s exactly what the State Water Board started last December, when they adopted new flow standards for the San Joaquin River and its tributaries. Governor Brown stepped in at the last minute and tried to derail their efforts. Governor Newsom is hopefully wise enough and environmentally aware enough to appreciate the way our natural systems work and try to protect them.